Please use our secure online reservation system anytime to book your room by clicking on the RESERVATION button on any of our pages. For your convenience, we can also take your call during our normal business hours, between 8 AM and 6 PM Eastern Time, to reserve your room. We require a valid credit card to reserve the room, however, we do not charge any money against the card until you arrive to check-in. We accept cash, traveler’s checks, and credit cards (VISA, MasterCard, Discover or American Express) for payment. We do not accept personal checks. All rates are based on up to 2 guests, an additional person is $35 per night. Children are counted as guests when reserving. We are happy to accommodate your children of 7 years and above. We know that life happens, it happens to us as well. However, we are a small business that relies on every reservation. Cancellations and changes may be made up to 14 days prior to the scheduled arrival date without a penalty. If you are required to cancel within the 7 days, you may be charged for the first full night and up to 50% of the entire length of the reservation. (Charges will depend on original length of stay and peak-time of reservation.) However, if we are able to re-book your room, there will be no charges. Room prices include all applicable fees and taxes. Off street parking is available free of charge for all of our guests. 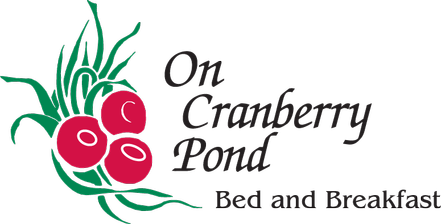 We welcome your children age 7 and above at our Bed and Breakfast, please call for the appropriate room. Please call us to see if we can accommodate younger children in your party. Our bed and breakfast is a smoke-free environment. We have designated areas outside where you may smoke if necessary. Special dietary needs are not an issue for us ... just let us know when you make your reservation!